What if we could feel on our bodies the presence of others at a distance? 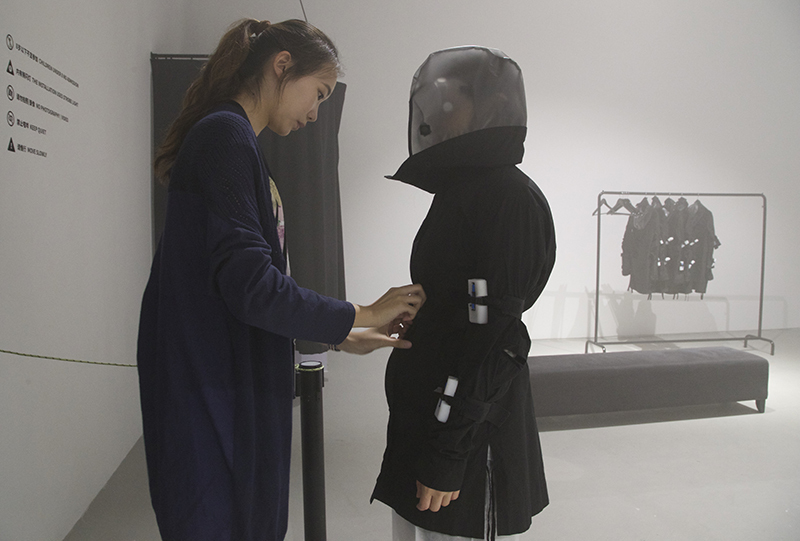 Haptic Field is a participatory multi-sensory installation merging contemporary fashion, wearable technology and an exploration of the senses beyond site. Employing garments especially designed and produced by the Chinese international fashion brand JNBY that visitors actually wear in order to experience the installation, Haptic Field creates a singular and uncanny physical experience, giving us the impression that our senses our stretched beyond the body’s boundaries. With one’s ability to visually navigate and make sense of the world removed upon entering the installation, the entire space is transformed into a continually shifting, hallucinatory, almost dream-like environment where nothing is what it seems and where one begins to experience other senses like touch, sound, proprioception, the experience of time and the invisible presence of others' senses that we normally ignore or forget about in our mainly visually dominated world. In Haptic Field, up to twenty visitors can be accommodated at any point in time. 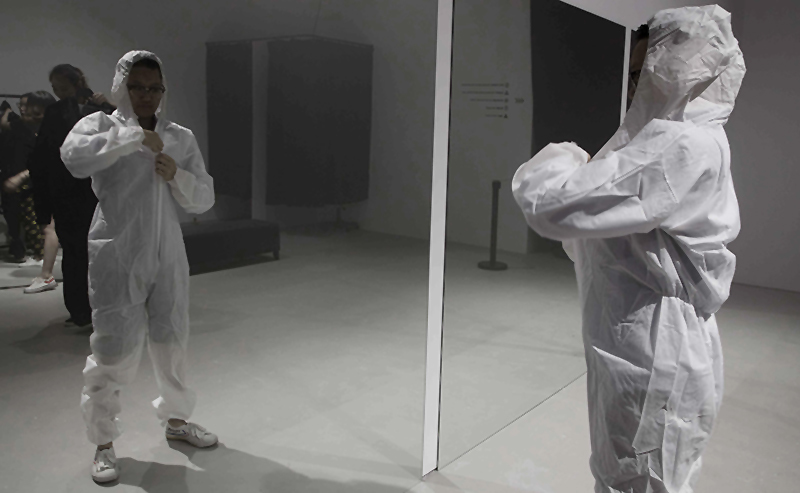 Standing before a mirror, the visitors choose one of the garments and place them over their own clothing, while tightening the haptic devices to get them closer to the skin. 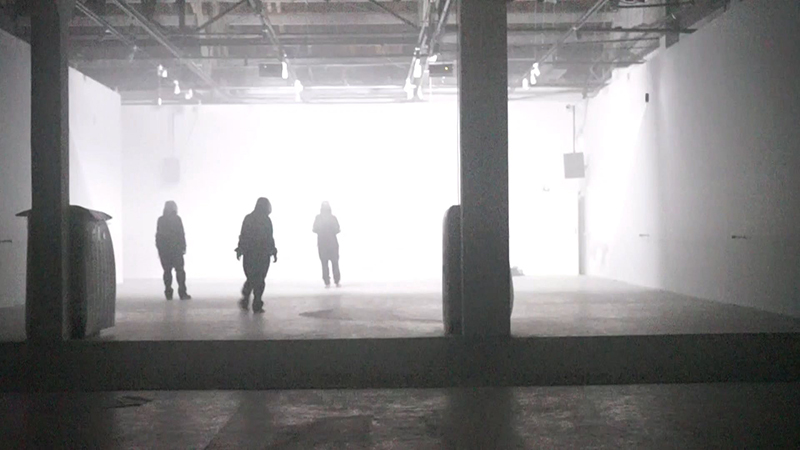 Before they enter the space, they pull over the hood of the garment outfitted with a milky white lens that completely blurs and distorts their ability to see – rendering the entire visual sense into a blurry, non-defined field, as if walking through thick fog. 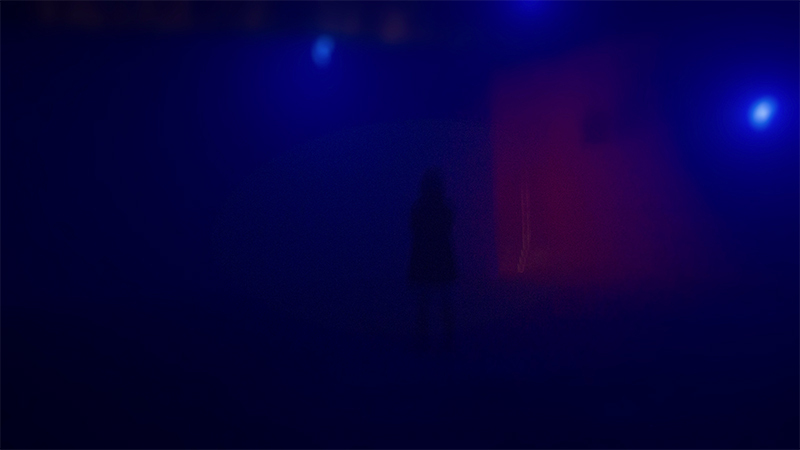 Now partially blind, as they enter the gallery space, the visitors plunge into an undefined, hallucinatory space of sound and blurred visual impressions. The continually changing visual, acoustic and haptic environment is partially scripted and partially influenced by the physical movement and actions of the participants. The gallery space is completely empty with the exception of a series of ropes strung chest high around the periphery of the room which assists visitors in finding their way out of the disorientating space. 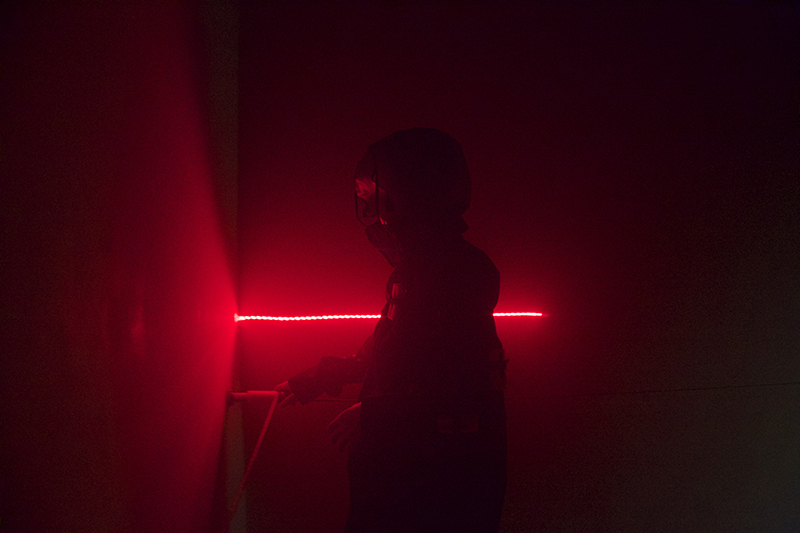 “Haptic Field: Beyond Vision – The Fantastic Artificial World of the Somatosensory Field.” Art Newspaper China. Gu Ling. July 13, 2016. “Haptic Field at CAC.” Leap Magazine, China. July 2016.